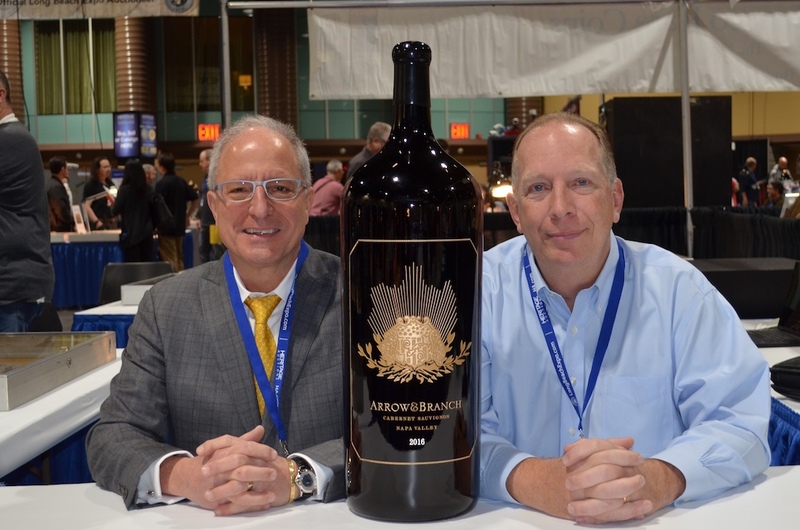 (Long Beach, California) January 31, 2019 – A Napa Valley California wine company, whose name was inspired by the design of the fabled 1787 Brasher Doubloon once owned by the vineyard proprietor, has created a mega-size bottle of fine wine standing over 2½ feet tall and weighing about 60 pounds. It was purchased by another numismatist who took delivery of the huge bottle at the January-February 2019 Long Beach Coin, Currency, Stamp and Sports Collectibles Expo (www.LongBeachExpo.com). “The bottle contains 15 liters – 507 ounces – of our 2016 Cabernet Sauvignon ‘Black Label,’ the equivalent of 20 normal size bottles. The wine alone weighs a little more than 31.6 pounds and the huge bottle weighs about another 30 pounds,” explained Steven L. Contursi, Chief Executive Officer of Rare Coin Wholesalers (www.RCW1.com) in Irvine, California. 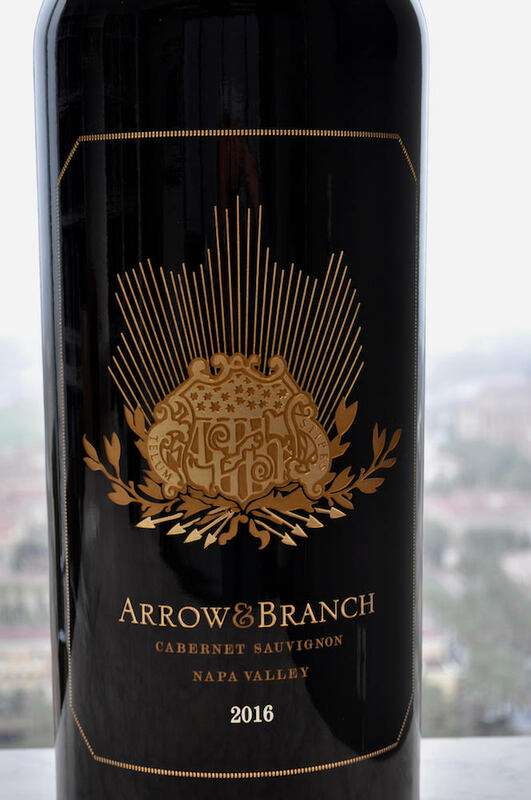 In the wine world, 15-liter bottles are called Nebuchadnezzar, named after an ancient King of Babylon, and this is the first and only such bottle produced by Arrow&Branch. “To use a coin grading metaphor, it’s one and none bigger,” said Contursi.